Lorry’s Island End Motel Makes Every Effort To Make Your LBI Vacation Affordable with our BBQ Area and 3 Gas Grills, plus Full Size Refrigerator with Top Freezer, Microwave & Free Continental Breakfast that Saves You Money On Food & Drinks (your biggest vacation expense) – making eating out on Long Beach Island NJ an option not a necessity.Lorry’s Motel also provides Free Beach Badges (with refundable deposit), Free Wi-Fi, Free Used Bicycles & Free Boogie Boards to give our Guests The Best LBI Hotel Or Motel Value. Lorry’s LBI Motel Guests tell us they are very happy we provide ALL of our Free Amenities That Save Them Between $50 – $125 per day per room. * I Need A LBI Vacation, But I Still Want To Get On The Internet. Does Lorry’s Have Free Wi-Fi ? YES, ALL of Lorry’s Motel Rooms and Efficiencies plus our LBI Rental House across the street have FREE Wi-Fi. Also, in Lorry’s Motel Courtyard near our fountain are 2 outlets where you can charge your cell phones, etc. * How Close Is Lorry’s Motel To The Beach ? Very Close, Only 200 Yards to the Beautiful Beach Right Up The Street, and 200 Yards to the Bay behind Lorry’s, and Only 1 Street to the parking lot for the Phenomenal Wildlife Preserve. Lorry’s Island End Motel is One Of The Few Places In The U.S. That Is Close Walking Distance To Water On 3 Sides. * Do All Lorry’s Motel Rooms Have A Private Bathroom ? YES, All of Lorry’s Motel Rooms and Efficiencies have a separate entrance and private bathroom with sink, mirror, toilet and shower. We understand why you ask us that question as some other LBI Hotels share bathrooms and don’t have a separate entrance. * Beach Badges To Get On The Beach Cost A Lot Of Money, Do You Give FREE Beach Badges? YES, Lorry’s Motel gives Our Guests FREE Beach Badges with a $20 Deposit per person 12 years old or older that is Refunded At Check-Out when you return all of your Beach Badges. Beach Badges are needed to get on the Beach from approximately June 15 – Labor Day. The Beach Badge Daily Cost is about $ 7 per person per day (A Lot Of Money). * Are You Close To Beach Haven, NJ With Fantasy Island And All The Restaurants And Shops? YES – even though this end of Long Beach Island, NJ is very relaxing and laid back, Lorry’s LBI Motel is Only 4 Minutes By Car and 10 -15 minutes by bike to nearby Beach Haven, NJ. The town of Beach Haven is full of excitement, shopping, miniature golf, ice cream parlors, restaurants, nightclubs, Surflight Theatre (Live Theater), Showplace Ice Cream Parlor (Singing & Dancing Waiters & Waitresses), and fun at Fantasy Island Family Amusement Park, Thundering Surf Water Park, The Miss Beach Haven that offers Fishing and Bay and Sunset Cruises for you, and your family and friends to enjoy. * We Love To Ride Our Bicycles On Vacation. Are We Able To Ride Our Bicycles In Your Area ? 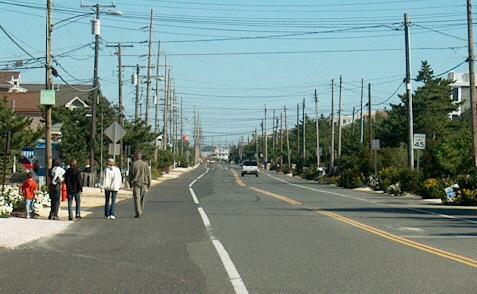 YES, Our Southern Long Beach Island Area Has 4 Miles Of Bicycle Lanes To And From Beach Haven. * We Just Want An Affordable Long Beach Island Vacation, Why Have So Much Info On Your Website ? Lorry’s Island End Motel Goal Is To Give You An Affordable LBI Vacation, but we also want you to have A Great Long Beach Island Vacation and return frequently. Many of Lorry’s Motel Guests vacation at Lorry’s every year and some Guests come back 2 – 4 times per year or more because Long Beach Island has so much to do and Lorry’s Is The Best LBI Hotel or Motel Value. We put up a lot of information For Our Thousands Of Guests to make them Aware Of How Much There Is To Do On Long Beach Island, NJ and the surrounding area. People continually tell me how much they appreciate all the Long Beach Island, etc. info we provide them. * Why Do You Advertise Lorry’s Island End Motel Is The Best Long Beach Island Hotel Or Motel Value ? All of our FREE Amenities Save Guests between $50 – $125 per day per room. FREE Continental Breakfast, Beach Badges (with deposit), Wi-Fi, Bicycles, Boogie Boards, Full Size Refrigerators w/Top Freezers, Microwaves, Courtyard w/3 Gas Grills, Kid’s Sandbox and Play Area, Guaranteed 1 Car FREE Parking. * Are There Coffee Maker’s In Lorry’s Motel Rooms ? YES Lorry’s Motel has a Coffee Maker in almost all of Lorry’s Motel Rooms to include Queen Rooms, Double Room and 2 BR Efficiencies. A Coffee Maker is in 9 of Lorry’s 12 Motel Rooms. Only the smaller Single Rooms with 1 Queen Bed Do Not Have a Coffee Maker in these rooms. However, if you are staying in a smaller Single Room with 1 Queen Bed and want a Coffee Maker, Please come to Lorry’s Office and ask Lorry’s Staff to loan you a Coffee Maker. Please remember that Lorry’s Free Continental Breakfast runs Daily from 9 am to 11 am starting May 1 – Sept. 30 and Weekends in October with Unlimited Coffee Available. Also, Bowker’s South Beach Grill right up the street at the Beach has Great Coffee and everything else Daily (In Season) starting about 7 am. * Is Lorry’s Island End Motel A Loud Motel Or Party Motel? We Want You To Have Fun At Lorry’s Island End Motel and Long Beach Island Is A Fun Vacation, but Lorry’s Motel Is Not A Loud Motel And Not A Party Motel and we DO NOT allow late night noise and activity at Lorry’s Motel. Lorry’s is located in a Quiet LBI Area On A Side Street at the Beautiful Southern Tip of Long Beach Island. Lorry’s Motel Guests are looking for A Fun Laid Back Vacation and NOT outside noise and loud people at Lorry’s after 11:30 pm.Lorry’s Courtyard and all outside areas close at 11:30 pm and all outside activity at Lorry’s Motel ceases at 11:30 pm. At that point you can go to the Beach or in town to Beach Haven (or your Lorry’s Motel Room), as all noise and all outside areas of Lorry’s Motel are closed. Lorry’s Motel is a laid back LBI Motel and Guests tell me they appreciate that we Do Not allow late night noise or activity at Lorry’s while they are on vacation So They Can Get A Good Night’s Sleep. We expect Lorry’s Guests not to be loud after 11:30 pm or bring extra people or allow extra people to come to Lorry’s and try to have a party. After 11:30 you can leave Lorry’s Motel and return later (quietly please). Long Beach Island is a Fun Vacation with many restaurants, bars & nightclubs to have a party, but the party is NOT at Lorry’s Motel. * Is It Better To Call Or E-mail Lorry’s LBI Motel ? It Is Better To Call Lorry’s Motel at 609-492-6363, As We Can Give You An Answer Right Then. In season, Lorry’s Motel gets so many e-mails because we are a Unique Long Beach Island, NJ Motel that saves our Guests $50 – $125 per day per room. It is hard for us to answer all the e-mails in a timely manner. However you can e-mail us if you wish, but it is definitely better to make a quick call to Lorry’s Island End Motel (609-492-6363) And Get An Immediate Answer. Thank you to all of our LBI Vacation Guests and we appreciate your business and we look forward to helping you have another Great Vacation on Beautiful Long Beach Island, NJ. * When Should We Make Our LBI Reservation At Lorry’s ? We always advise everyone to make your LBI reservations As Soon As Possible at Lorry’s Island End Motel, The Best LBI Hotel Or Motel Value On Beautiful Long Beach Island, NJ. Lorry’s Island End Motel Still Remains Affordable, as there are a number of LBI Hotels or Motels and B & B’s on Long Beach Island, NJ that Range From $300 – $550 Per Day in season. So please make your reservations at Lorry’s Motel As Soon As Possible to get the dates and LBI accommodations you want before they are gone, and start saving money with ALL of our FREE Amenities. * I Read Lorry’s Island End Motel Doesn’t Have Daily Maid Service, Why Not ? Lorry’s Isn’t Like Any Other NJ Hotels Or Motels – We Try To Save You Money. Lorry’s Owner Takes Great Pleasure In Saving Our Guests between $50 – $125 Per Day Per Room With ALL Of Our Free Amenities. If Lorry’s Motel is going to be able to offer All of these Free Amenities To All Of Our Guests, These Free Amenities cost Lorry’s Motel a lot of money, and the Free Amenities Have To Be Paid For Somehow. So Lorry’s Motel Does Not Offer Daily Maid Service. However, Lorry’s Motel Rooms & Efficiencies Are Cleaned Before You Come To Lorry’s Motel & After You Check-Out – NOT Daily. The Money Lorry’s Saves By NOT having daily maid service allows Lorry’s Motel to invest the money we save to give our Guests Free Continental Breakfast, Free Beach Badges (With Refundable Deposit), Free Wi-Fi, Free Bicycles, Free Boogie Boards, Full Size Refrigerator With Top Freezer, Microwave and BBQ Area with 3 Gas Grills & FREE Parking – An Affordable LBI Vacation Package. We have found that Lorry’s Guests would rather have an Affordable LBI Vacation and not have daily maid service, which they really don’t need or care that much about anyway, to be able to save $50 – $125 per day per room. Lorry’s Guests are able to exchange their towels and/or sheets by bringing them to Lorry’s Office between 11 am – 6 pm and we will be happy to exchange them. * Is Lorry’s Motel Going To Sell Out For Big Money Like Some Other Long Beach Island Hotels Or Motels ? NO, I am not going to sell Lorry’s Motel, God Willing. This end of Long Beach Island, NJ Is Priceless. In Fact, Thankfully I purchased the 4 BR 2 BA LBI Rental House across the street from Lorry’s for our Guests and their families that have outgrown Lorry’s and need bigger accommodations. Lorry’s Motel was purchased in May of 1990 at an auction. The previous owners walked away from Lorry’s Motel because they could not make money at Lorry’s. I have enjoyed working at Lorry’s for the last 25+ years meeting our Thousands Of Guests and constantly improving our LBI motel. We are still not perfect, but we are always making Lorry’s Island End Motel better. I Love This Beautiful And Peaceful Laid Back End Of Long Beach Island, NJ with the cool summer breezes, and don’t want to sell Lorry’s Motel. Also, I really enjoy our thousands of LBI Guests from 48 States and 44 Countries Around The World. A number of Lorry’s Guests come 2 – 4 times or more per year and I enjoy seeing them. Some of our Guests have been coming to Lorry’s Motel since I bought Lorry’s in 1990. I have been offered a lot of money ($ 1.5 million dollars) to sell Lorry’s Motel and then they would turn Lorry’s into very expensive Condo’s that you possibly couldn’t afford. I turned their offer down because Lorry’s Motel and this end of Long Beach Island, NJ Are Priceless, And I Love Seeing Our Guests. I Thank God I Am Able To Own Lorry’s LBI Motel (and also the 4 BR 2 BA “Million Dollar” Rental House across the street). Also, I Am Happy That I Can Keep An Affordable LBI Motel On Beautiful Long Beach Island For Our Thousands Of Guests That Love Coming to Lorry’s Long Beach Island Motel. So, I Hope To See You For Many Years At Lorry’s Island End Motel, The Best LBI Hotel Or Motel Value On Beautiful Long Beach Island, NJ. * What Is Lorry’s Long Beach Island Motel “Sunday – Friday Special” ? The Sunday – Friday Special is an Affordable LBI Vacation that includes 6 full days and 5 nights that is designed to help you miss the heavy LBI NJ traffic and relax. You come to Long Beach Island when the traffic on Sunday is leaving, and you leave LBI on Friday afternoon or evening when the weekend LBI traffic is coming. So, Lorry’s Motel helps you miss the heavy traffic and have a relaxing LBI vacation. The Sunday-Friday Special gives you a Great Price for 6 Full Days and 5 Nights. Also, the Sunday – Friday Special costs a lot less than our Weekly Price of 7 days and 7 nights. Check Lorry’s Motel Sunday – Friday Special for an Affordable LBI Vacation. * Do You Have Air Conditioning On Hot Days ? YES, Lorry’s Motel has cental air conditioning, ceiling fans, PLUS Screen Doors And Windows that allow in the cool LBI ocean breeze for those Guests that prefer the ocean breeze ! Lorry’s Island End Motel is Unique because we are one of the very few Long Beach Island, NJ Hotels or Motels that is at the end of Long Beach Island. So, Lorry’s Guests are able to take advantage of the outdoor feeling like they are at the NJ Shore with the cool breezes, since Lorry’s is within close walking distance to water on 3 sides. Afford It, Can You Help Us ? times or more per year and save money by staying at Lorry’s LBI Motel each time. Special also helps you miss the heavy LBI, NJ traffic. And Drinks, Your Most Expensive Vacation Costs. Afordable, by making eating out an option, not a necessity. to ONLY $2,999 per week in the Peak LBI Rental Season. is close walking distance to water on 3 sides. * Is Lorry’s Island End Motel Oceanfront ? 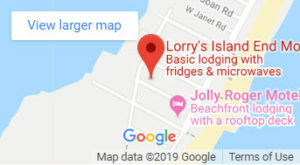 Lorry’s LBI Motel is close walking distance to water nearby on 3 sides, but sorry we are not oceanfront and thankfully you save a lot of money on our rates since Lorry’s is not oceanfront. Also, Lorry’s Motel has a better location than just being oceanfront, as this end of Long Beach Island is very narrow and we are only 200 yards to the Beach & 200 yards to the Bay and near the Wildlife Preserve Beach with the Ocean on one side and the Bay on the other side. YES, Long Beach Island, NJ Is A Family Island With Lots Of Family Activities. Lorry’s Motel has created an extensive website to help our thousands of Guests. “Things To Do” on Beautiful Long Beach Island. Also at Lorry’s Island End Motel, Kids Stay Free Making Long Beach Island, NJ Family Vacations Affordable. 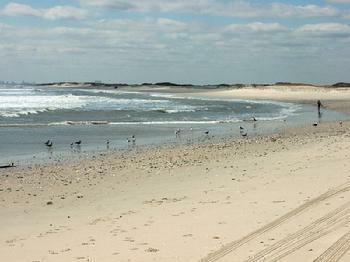 * What Are LBI Beach Badges ? Beach Badges are pin on tags that you display to be allowed on the LBI beaches. Long Beach Island Beach Badges help to pay for the beaches which cost millions of dollars to lifeguard, keep clean and maintain.Beach Badges are required to wear to go on LBI beaches for everyone from ages 12 and up. Lorry’s Motel gives Beach Badges FREE to every Guest age 12 + with a Refundable $20 Cash Deposit per Beach Badge with a maximum deposit of $40 per room for all rooms except 2 BR Efficiencies. The Maximum Deposit for a 2 BR Efficiency is $100 for up to 6 Beach Badges. Lorry’s Free Beach Badges save our Guests a lot of money as LBI Beach Badges are $5 -$7 per person per day.NOTE: Please Do Not Come To Lorry’s Office Before 1 PM To Pick Up Beach Badges as we are busy getting the rooms ready for you. Once you receive your Beach Badges, you will keep those Beach Badges for your entire vacation, not get new Beach Badges every day. * When Is A Free Continental Breakfast Available At Lorry’s? corner of our 2nd floor deck near Lorry’s Office from 9 am – 11 am. * Are You (Lorry’s Motel) Open 24 Hours A Day ? NO, Lorry’s Island End Motel is NOT open 24 hours a day. Lorry’s Motel is a Family Type LBI Motel and we are NOT looking for 24 hour a day check-ins. Our office is NOT open 24 hours a day and we don’t take phone calls after about 10 pm. However every Guest that has a Lorry’s Motel reservation, we make sure they do get in Lorry’s Motel no matter how late they are coming. If you are coming late, Please notify in advance Lorry’s Owner, Bill Hutson, by calling him at 609-492-6363. * Do You Have Senior Citizen Or AAA Discounts ? YES, we have 60+ Discounts and AAA Discounts. You are welcome to take advantage of these Great LBI Prices. March, April & May Until Early June 10 % OFF Monday – Thursday. Note: Your 10% discount is In Addition to the already discounted pre-season LBI rates of 30% – 50% off. This discount makes Your Total Savings 40% – 60% Off the regular in season price schedule of $109 – $279 per day. 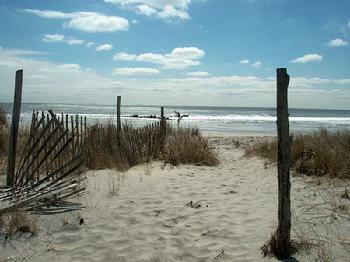 We Look Forward To Helping You Have A Great Long Beach Island Vacation. * Do You Give U.S. Military Discounts ? YES, my brother and I were In The U.S. Army And We Love And Support Our U.S. Military, and give any active duty military Guest of Lorry’s Motel 1 Free Lorry’s T-Shirt per room upon check-in. Also, take 10% off in the pre-season from April 1 to early June during the week Monday-Thursday (Only) at Lorry’s Motel. Note: This 10% discount is added to the already reduced pre-season prices by 30% – 50%. Your Total Savings Are 40% – 60% Off the in season prices that range from $109 – $279 per day. 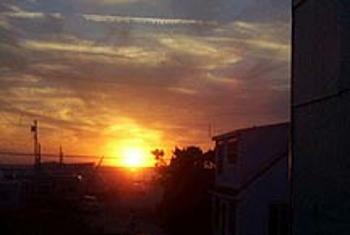 Lorry’s Motel Looks Forward To Helping You Have A Great Vacation On Beautiful Long Beach Island, NJ. * Does Lorry’s Motel Have Ceiling Fans ? YES, Lorry’s LBI Motel is one of the few Long Beach Island, NJ Hotels or Motels that has ceiling fans and air conditioning, PLUS Screen Doors And Windows to let in the cool ocean breeze (if you prefer the ocean breeze) ! * Do The Motel Rooms And 2 BR Efficiencies Have Stoves ? outside on vacation and use the BBQ grills and then throw the paper plates etc. 2 BR Efficiencies have a microwave for your convenience. YES, Lorry’s Motel has thankfully been providing a Free BBQ on major Holidays for over 20 years to our Guests. We really enjoy the Holiday BBQ’s and Lorry’s Motel is one of the very few LBI Hotels or Motels with a Free Holiday BBQ.Our Memorial Day, July 4th and Labor Day BBQ’s Are A Lot Of Fun for all our Guests staying at Lorry’s Motel on the day of the BBQ. The Memorial Day BBQ & Labor Day BBQ are held on Saturday.The July 4th BBQ is held on July 4th – if July 4th is a Wednesday. If July 4th is any other day of the week or weekend, the July 4th BBQ is on Saturday. Please always check with Lorry’s Motel to confirm the Holiday BBQ dates. * What Is A Long Beach Island Beach Wheel ? A LBI Beach Wheel is an outdoor PVC chair with very big wheels. It helps people who are injured, disabled, or have a hard time walking – still be able to enjoy the beach by being easily wheeled right onto the beach and down to the water’s edge. 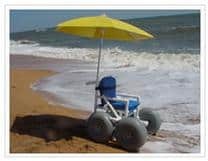 There are 42 Beach Wheels available from Long Beach Township by calling 609-492-1200 and making a reservation for a Beach Wheel.. We suggest you make your Beach Wheel Reservation IN ADVANCE of your vacation since they are in great demand. are on your Long Beach Island Vacation. heel in advance of your vacation. Have Places To Walk That’s Not On The Beach? traffic or people as compared to nearby Beach Haven, NJ. * We Like To Ride Bicycles And Don’t Want To Bring Them To Long Beach Island, NJ – Can You Help Us ? 1) Rent New LBI Bicycles Is Easy As Bowker’s Is Right Up The Street. 2) Lorry’s Motel Loans Our Guests Used LBI Bicycles. Lorry’s used bicycles are known as LBI Beach Cruisers and we have 5 adult bikes to loan our Guests on a first come first serve basis. Because these bikes are loaner bikes at the beach, they are only to cruise around locally and they are not new or expensive bicycles and have some rust on them. Lorry’s complimentary bicycles are to make our Guests happy who don’t want to bring their bikes or don’t want to rent a bicycle and still want to ride a bike and have some LBI fun. Ask Lorry’s Staff or Owner if you would like to bike around LBI and borrow one of our used bicycles. Note: Lorry’s Motel Is Near The LBI Ocean and salt air corrodes metal at the beach, and so Lorry’s bicycles have some rust on them and are not new, but they are Free. If rust on Lorry’s Motel Beach Cruisers bothers you, please bring your own bikes or rent some new bikes. Please don’t complain about our Free LBI Bikes that are used and have rust on them as you have 2 other options available to you, bring your bikes or rent bikes..
* Can We Cook At Lorry’s Motel ? YES, in all of Lorry’s Motel rooms you have microwaves and outside in our Courtyard is our BBQ Area with 3 gas grills, and one gas grill has a side burner for your use. * Does Lorry’s Bathrooms Have A Shower Or A Bathtub ? All of Lorry’s Motel rooms have a shower so you can get in and out quickly to enjoy your vacation. Lorry’s has no bathtubs in the motel rooms. However for those parents with small children, we have a plastic tub stored in our shed that is used to bathe small children. Please ask Lorry’s managers or Lorry’s owner and we will be happy to let you borrow this plastic tub. * Do Lorry’s Motel Rooms Have Private Entrances ? YES, every motel room has its own private entrance from the outside and private bathrooms. 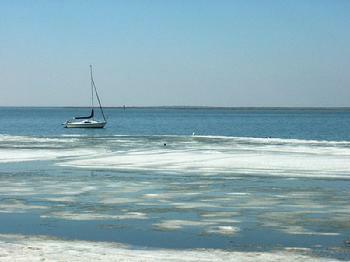 * Is Long Beach Island, NJ A Safe Place To Vacation ? Long Beach Island, NJ is a safe island and has very little crime. Long Beach Island, NJ has lots of Police with 5 different LBI police departments. * Is Lorry’s Motel Area On LBI Safe ? As we previously stated Long Beach Island, NJ is a safe island and has very little crime. Long Beach Island has a lot of Police, and our end of Long Beach Island is a quiet and laid back area at the southern tip of Beautiful LBI, NJ. * I Have Never Been To LBI, NJ – What Is There To Do ? There Are Lots Of Things To Do On Long Beach Island, NJ ! There is so much to see and do on Long Beach Island and the nearby mainland, that we have broken it down into different categories on our site. Lorry’s Motel has created an extensive website for our thousands of LBI customers. We don’t have everything listed that is available, but check back often as there will be updates as time goes on. * Do You Offer Food On Premises ? YES, Lorry’s Motel is one of the few Long Beach Island, NJ hotels or motels with a Free Continental Breakfast (In Season) to all of our Guests and it is included in your price. Also, Our Full Size Refrigerator with Top Freezer Saves You Money On Food And Drinks, Your Most Expensive Vacation Costs. In addition, Lorry’s BBQ Area with 3 gas grills helps make your LBI vacation affordable, by making eating out an option, not a necessity. * I Heard Lorry’s Motel Is A Christian Motel – Is This True ? YES, Lorry’s LBI Motel is a Christian Owned And Operated Motel. Lorry’s gives away Free Bibles to anyone that asks for a Bible or needs a Bible. If you want to give a Bible to a friend or someone else, please come to Lorry’s Motel Office and we will be happy to give you a Bible and also a Bible for someone else. If you want us to mail a Bible to someone, please come to Lorry’s Office and give us their name and address so we can mail them a Bible and introduce them to Jesus, The Savior Of The World. If you really need a Relaxing Vacation to get away to one of God’s Most Beautiful Beaches in the US and can’t afford the full deposit right now, Lorry’s Motel will work with you on a payment schedule. All you need is just a few days of the ocean and reconnect with God to help you feel relaxed and refreshed. There is nothing like this peaceful laid back end of Long Beach Island. Please call us at 609-492-6363 or e-mail Lorry’s to get away and make a reservation. If you need to know more about God, please go to Lorry’s Worship And More page. Update After Superstorm Sandy – – Thankfully, Lorry’s Motel is a Christian Owned and Operated Motel. Thank God we had very little damage from Superstorm Sandy as compared to the houses on both sides of Lorry’s that received so much damage from Sandy that they both had to be torn down. Also, Long Beach Island Trailer Park near Lorry’s was closed as it was destroyed and the 147 trailers ruined. Yet Lorry’s had no roof shingles blown off, no roof damage, no widows blown out, and our motel was not washed off it’s 2 foot pilings. Also our PVC fence remained totally intact except one piece in the back that a bicycle rack washed through and we found the bicycle rack one street away. * Do You Have Online Reservations ? YES, Lorry’s LBI Motel does make online reservations, but we would ask you to please give us a quick call at 609-492-6363 as we can’t guarantee that the room would still be available by the time you e-mail us, then we e-mail you the answer, then you e-mail us back that you want to make your reservation. Lorry’s Motel receives up to 50 – 100 calls and e-mails Every Day In Season. Please Call Us at 609-492-6363 and your LBI reservation will be confirmed quickly while you are still on the phone. * What Credit Or Debit Cards Does Lorry’s Motel Accept ? Lorry’s Island End Motel accepts Visa, MasterCard and Discover Credit and Debit Cards. NO, Lorry’s Motel is at the southern tip of Long Beach Island where there is very little traffic and very few people as compared to nearby lively Beach Haven, NJ. We are in a laid back area of LBI. Long Beach Island, NJ ends only 1 street from Lorry’s Island End Motel and there is a barricade to stop the cars. Any cars in our neighborhood are going very slow at this point. Lorry’s Motel is only 200 yards from the LBI beach and requires crossing where there are very few cars going slowly – and not a busy highway to get to the beach on Long Beach Island, NJ. $300 – $550 Per Day in season. 1) Our rates in season range from only $109 – $279 per day. 2) Kids stay Free with parents or grandparents. 3) All rooms have a Full Size Refrigerator With Top Freezer. 4) All rooms have a microwave.5) Award Winning Courtyard with BBQ Area and 3 gas grills that Saves You A Lot Of Money.6) Free Continental Breakfast (In Season).7) Free Beach Badges (with $25 refundable Cash deposit per Beach Badge (ages 12 +).8) Sunday – Friday Specials give you a great price, an extra day at the beach on Friday, and 1 Free Lorry’s T-shirt per room + you miss the heavy LBI, NJ traffic.9) Free Wi-Fi for our LBI Guests.10) Free Bicycles & Boogie Boards.11) Weekday LBI discounts (Monday – Thursday).12) Pre-Season LBI Discounts with 3 Day Weekday Specials and Entire Weekend Specials from March 1 – May 26.13) LBI Discounts to AAA, 60+ and Active Military – take an additional 10% off Pre-Season (Monday – Thursday) in April, May, and until early June).14) 1 Night Fridays that give you a Free day at the beach on Saturday after check-out and you pay for only 1 night. * Are You Open Year Round On Long Beach Island ? YES, Lorry’s Island End Motel is one of the few Long Beach Island, NJ Hotels or Motels that are open year round.The Earlier You Come In The Season to LBI – April, May and June or After Labor Day in September and October, the less expensive Lorry’s Motel price is. 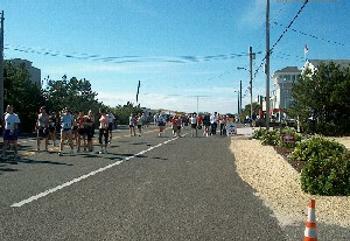 During The Week Usually Costs Less than weekends & has less LBI traffic. Lorry’s Motel has 4 different room sizes and our rates depend on which room you choose and the time of year.Ask us and we will be happy to send you a brochure byRequest A Brochure and fill out your information or please call us at 609-492-6363 for an immediate answer. * Are Your Motel Rooms Clean ? YES, Lorry’s Motel rooms are cleaned by our cleaning staff after each room checks out and they are clean when you check in. If by chance your room is not cleaned to your satifaction, please see the owner (Bill Hutson) or call me at 609-492-6363, as I am usually either on or around the premises. Lorry’s Island End Motel tries very hard to give 2,000 + Guests per year The Best LBI Hotel Or Motel Value on Beautiful Long Beach Island, NJ.For your information, Motel Rooms At The Beach Are The Hardest Rooms To Clean with the ocean, the beach, the sand, and people constantly in and out of the rooms going to the nearby beach only 200 yards away.Also, We Have Only 4 Hours To Clean All The Rooms between check-out time at 11 am and check-in at 3 pm. People want to get checked into their room as soon as possible and we understand that. I can assure you that Lorry’s staff does the best job possible in a very short window of time available to give you a clean room.We Appreciate You Considering Lorry’s Motel. However, I want everyone to know in advance before you come to Lorry’s Motel on Long Beach Island, NJ that We Are Not The Taj Mahal, Ritz Carlton, The Hilton, The Hyatt, The Marriott, Engleside Inn or a perfect LBI motel.Here at Lorry’s Island End Motel we have no high end rooms or suites. Lorry’s is just an LBI Motel near the beach that makes every effort possible to make your Long Beach Island, NJ Vacation Affordable in a laid back, comfortable, friendly, family atmosphere – that is close to Beach Haven, NJ.I have had some Guests complain that they see some sand around the property – on the decks, the chairs, gazebo, and in the outside shower and changing area. I want to emphasize to everyone in advance that Lorry’s Island End Motel is only 200 yards to the Beach and 200 yards to the Bay – and Yes You Do See Sand Because There Is Sand All Around Us Everywhere.We clean Lorry’s Motel every day in season and as soon as we sweep or clean the sand, with people back and forth to the beach, the sand is back on Lorry’s property again. So, you will probably never see our property without some sand around. That is what happens at the Beach because there is sand around everywhere. NO, our rooms do not have a musty smell. For your information, the musty smell you have smelled in some other hotels or motels is caused by two reasons as follows:1) If a Hotel or Motel is not open all year round and the rooms are closed for many months until they are reopened in the spring, this can cause a musty smell.2) If the Hotel or Motel is open year round and some rooms are not frequently used, they can develop a musty smell.Lorry’s Island End Motel on Long Beach Island, NJ is open year round and we are busy all year including the winter. Therefore, our rooms are in use all year long and do not have a musty smell, as people are in and out of Lorry’s Motel rooms all year long. * What Are Your LBI Rates ? 4) Sept / Oct. Etc. In The Rooms ?YES, Lorry’s Motel is Christian Owned And Operated.If you would like to take a Bible home with you when you leave Lorry’s Motel, please don’t take the Gideon’s Bible from the rooms. Please ask Lorry’s manager or owner and we will be happy to give you a Free Bible to take with you.If you are having a tough time in your life, Lorry’s Island End Motel is the perfect affordable get away to relax and recharge your battery at this peaceful laid back southern Long Beach Island tip. We are only 1 street away from the parking lot to The Wildlife Preserve, one of God’s Most Beautiful Beaches in the U.S.Also, if you would like to talk to someone about the tough times in your life, I (Bill Hutson – Lorry’s Owner) will be happy to talk with you. Just ask Lorry’s managers to let me know that you want to talk to me. For Me To Do On LBI ? 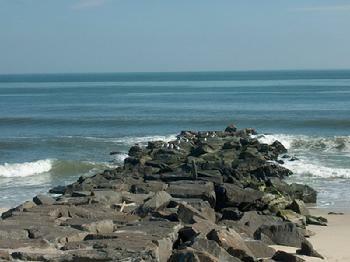 LOTS – There is so much to do on Long Beach Island, NJ and the nearby mainland, besides going to the LBI beach. We have listed a ton of things on Lorry’s website – so come on out to Lorry’s Island End Motel and see for yourself that there is a lot more to LBI, NJ than just beautiful beaches. * Do You Have Full Size Refrigerators To Store Food And Drinks ? YES, Lorry’s Motel on LBI, NJ has a Full Size Refrigerator with a top freezer in every room. You can bring frozen food and your drinks with you or buy them at a supermarket on Long Beach Island, NJ and Save A Lot Of Money on the most expensive part of any vacation, food and drinks. Also every room has a microwave and outside your room is our Award Winning Courtyard With BBQ Area and 3 Gas Grills. * Is Lorry’s Motel Oceanfront ? Lorry’s Island End Motel is NOT oceanfront but We Are Unique – Close Walking Distance To Water On 3 Sides, as we are Only 200 Yards To The LBI Beach And The Bay at the Beautiful Southern LBI tip near the 3 Mile Wildlife Preserve. However, since Lorry’s is not oceanfront, our price naturally costs less than an oceanfront and Lorry’s Motel is The Best LBI Hotel or Motel Value. * Do You Have A Pool ? We don’t need a pool since we have the Atlantic Ocean right up the street. We are Only 200 yards from the Beach and 200 yards from the Bay as it is very narrow at this end of Long Beach Island, NJ. GOD asked us if we wanted a little pool that you can have anywhere, or would you like the real thing right up the street. We took the LBI beach only 200 yards away and the Atlantic Ocean.Also, we have the calm Bay only 200 yards behind Lorry’s Motel and the Holgate Bay Beach only 3 short streets away. This Bay Beach has a Children’s Playground, tennis court, basketball court, plus you can go fishing and clamming.No, we don’t have a swimming pool, but there is a public pool on LBI, NJ at St. Francis Community Center. Their phone number is 609-494-8861. * Do You Guarantee Free Parking ? YES Lorry’s Motel on LBI, NJ Guarantees 1 Parking Space Per Room (Unit). That is a very good question as parking is extremely important on Long Beach Island, NJ.Some additional parking is available on our street, Washington Avenue. Also a 100 car public parking lot is available only 1 street away at The LBI Wildlife Preserve parking lot for anybody who comes with more than 1 car per room. * Do You Have Microwaves ? In addition, outside your room is our Award Winning Courtyard With BBQ Area and 3 gas grills. * Is There A Long Beach Island Synagogue Nearby ? YES, the Jewish Community Center, more commonly called the JCC of LBI, is located at 15 East 24th Street in Long Beach Township, NJ 08008. Their phone number is 609-492-4090. * Do You Allow Children – Some Long Beach Island Motels Don’t Allow Children ? YES, Lorry’s Motel Welcomes Families With Children and we have a children’s play area and sandbox in our Courtyard. In Season we have many families with children that stay at Lorry’s Motel, and children staying with their parents or grandparents are FREE at Lorry’s. By the way, Long Beach Island Is A Family Island, And Most Long Beach Island Hotels & Motels Do Allow Children. Please Note: Lorry’s Motel asks Families to keep their kids under control so that All of Lorry’s Guests have a nice LBI Vacation. * Does Long Beach Island Have Christian Churches And Church Related Activities ? * How Many Rooms Does Lorry’s Motel Have ? * Can We Bring Our Bicycles To Ride On Long Beach Island ? YES, we highly recommend that you bicycle while at Lorry’s Motel – as there are 4 miles of LBI bicycle lanes near Lorry’s Motel and it is great exercise.You can bring your own bicycles or rent a bike and Lorry’s Motel will make all the arrangements for you, and Lorry’s Motel has a 4 bike racks that parks 25 bicycles in our parking lot.Lorry’s Motel also has complimentary bicycles for your use. Please ask Lorry’s Managers or owner if you would like to borrow a bicycle to ride around LBI. * Is Your LBI Area Quiet ? YES, our end of Long Beach Island, NJ is very relaxing, laid back and quiet, having very little LBI traffic and people compared to nearby lively Beach Haven. * Do You Have A Fax Machine Available For Your Guests To Use ? * Is Lorry’s Motel A Good Place For Families ? YES, Lorry’s Motel Welcomes Families With Children.During the summer we have many families with kids that stay at Lorry’s Motel with their parents or grandparents. What kind of people would we be if we did not allow the kids to spend part of their summer vacation at the LBI Beach? By the way, at Lorry’s kids staying with their parents or grandparents are Free.Please Note: Children must be kept under control so that all of Lorry’s LBI Vacation Guests have a nice time. * Where Is Lorry’s Motel Located On LBI, NJ ? Lorry’s Island End Motel is at the very southern tip of Long Beach Island, NJ where the ocean and bay meet. One street before the barricade at the southern end of Long Beach Island, you make a right on Washington Avenue. Lorry’s LBI Motel is down the street on the right. * What Is The Closest LBI Beach With Lifeguards ? The Beach at the end of our street, Washington Avenue on LBI, NJ has Lifeguards. * Does Your LBI Beach Have Lifeguards ? YES, our nearby beach does have lifeguards. * Is Metal Detecting Allowed On The LBI Beach In Your Area ? YES, metal detectors are allowed on the beach in our area, and to our knowledge they are allowed on all of Long Beach Island, NJ. 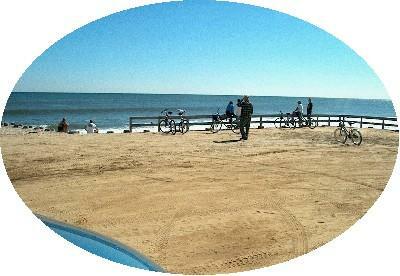 Owner’s Note: I understand that metal detecting is a very relaxing and healthy hobby on LBI, NJ. * What Is Your Check-in Time ? Beach Badge) allowing you a full day at the LBI beach.NOTE: Please Do Not Come To Lorry’s Office Before 1 PM to pick up Beach Badges or for any reason as we are busy getting the rooms ready for you and can not stop to talk at that time. * What Is Your Check-Out Time ? Lorry’s Motel Check-out Time is 11 am. Please have everyone and everthing out of your motel room by 11 am. I love vacation as much as you do and want to stay as long as I can also, but we have to clean our motel rooms in a timely manner for our next Guests who want to Check-In on time. So, please Check-Out by 11 am. Thanks! * Does Lorry’s Motel Guarantee Specific Rooms Or Floors ? * Will Lorry’s Motel Accept Personal Checks ? YES, Lorry’s Motel accepts personal checks At Least 45 Days Before Your Check-In, so that they have time to clear and be on our Monthly Bank Statement. However, sorry we do not accept personal checks at Check-In Or Within 45 Days Of Your Check-In Date. * Do You Have Daily Towel Exchange ? Yes, we exchange towels and sheets everyday in season between 11am & 6pm. * Does Lorry’s Motel Have Phones In The Rooms ? Sorry, Lorry’s Island End Motel doesn’t have phones in the rooms. The phone company that installed and serviced the phones in LBI hotels and motels went out of business. Almost eveyone has a cell phone and cell phones put them out of business.If you need to make a call and don’t have a cell phone, please come to Lorry’s office and we will let you make a Free call.If someone needs to reach you, please have them call Lorry’s Motel during business hours at 609-492-6363 and we will let you talk with them, or if you aren’t here we will give you a message. All Long Beach Island NJ Hotels & Motels have a cancellation policy. LBI Motel has so many returning Guests. Lorry’s Motel Owner* What Is Lorry’s Island End Motel LLC Cancellation Policy ? 47 States And 33 Countries Around The World, and we make every effort to help you not lose your money if you have to change your dates or cancel because of a serious personal emergency. Yet, we must have a Cancellation Policy that is fair and still holds our Guests to their scheduled dates, as Our Business Depends On “Advance” Phone Calls And E-Mails For Reservations. Please remember that you are making a commitment to Lorry’s Motel, and Lorry’s Motel is making a commitment to you, Our Guest. A) Applying 100% of your payment to your new reservation for up to 1 year. B) Cancel without wanting to reschedule and receive a 50 % refund of your payment. 100% of your payment is applied to your new reservation for up to 1 year. 3) 20 Days or Less Notice – If you change dates or cancel 20 days or less before your scheduled dates, your reservation is now much harder to re-rent and we are sorry that you would forfeit your money. However, We Will Still Go The Extra Step To Try To Prevent You From Losing Your Money, If It Is An Extremely Serious Personal Emergency. Any of your changed or cancelled dates prior to check-in day that Lorry’s Motel is able to re-rent, the money received will be applied to your new reservation for up to 1 year.4) Sorry no weather related, terrorism or disaster related cancellations or changes. 5) No refunds or credits on check-in day or after check-in. 6) Lorry’s Motel takes no responsibility for any reservation made sight unseen without coming to Lorry’s Motel property. Lorry’s Motel has no luxury suites or rooms and is not oceanfront and does not have a pool.7) Cancellations or changes to your reservation dates are not accepted by e-mail, mail, fax, phone message, text message, UPS or Fedex, etc. Please Speak Only With Lorry’s Motel Owner Bill Hutson to receive a cancellation number. Our Goal Is To Help Our Guests Who Are In An Extremely Serious Personal Emergency Situation, and still run a successful business. When you are given your confirmation number, your reservation is confirmed and from that point forward Lorry’s Island End Motel LLC Cancellation Policy is in effect.Lorry’s Island End Motel Looks Forward To Helping You Have A Great LBI Vacation On Beautiful Long Beach Island, NJ. 609-492-6363NOTE: All LBI Information Is Subject To Change – Please Check Before Planning. If you find any errors, please e-mail or call Lorry’s Motel at 609-492-6363.